Home Writing Black Sheep Holidailies 23: Black Sheep: Letting go of the Past = FREE!!!! Some might have seen this already and some haven’t yet. 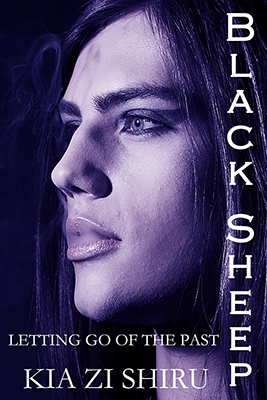 But Letting go of the Past, the first novella in the Black Sheep trilogy went free on Amazon. I didn’t expect it so I’m extending the sale until the new year! Soooo, you can get Letting go of the Past FREE on Amazon.com, Smashwords and Kobo(as soon as the promotion price kicks in again) until Januari 1 2014!! That plan is sabotaged when his new best friend, Jack, kisses him on New Year’s Eve, something Vic has been longing for and dreading in equal measure. Because he’s scared sweet and innocent Jack won’t be able to handle him, or his past. It scares him more than anything now that his past has come to haunt him, metaphorically and literally. You can also pick up all the other books from the series Loving in the Present, Fighting for a Future and the Box edition for $0.99 each! (Yes, even the Box edition is $0.99!) More info is in my earlier post Holidailies 10: Black Sheep 1 year birthday!!! I’m giving away presents! Amazon, Black Sheep, blurb, covers, ebooks, epub, gay, holidailies, Indie, KDP, Kindle, Kobo, LGBT, mobi, publishing, Smashwords, writing. Bookmark.